You can save thousands of dollars in roof repairs with some simple maintenance. 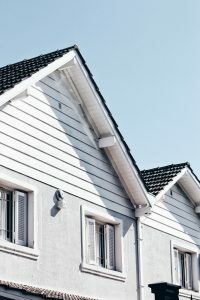 Roofs aren’t a one and done renovation. They take a lifelong commitment if you want to save money. How are you ensuring your roof stands the test of time? There are plenty of at-home tips for keeping your roof in good health. Luckily, they’re pretty easy. To find out the best roof maintenance tips, keep reading. Depending on where you live, the changing seasons can be rough on roofs. You may need to take extra precautions to protect yours. In the fall, leaves can collect in your gutters and on the shingles. If they sit there too long, they can clog the drainage system. You could end up with clogged gutters and a leaky attic. In the winter, too much heavy snow can cause a collapse in the roof. Consider getting a snow rake to relieve some of the weight from your roof. In the spring and summer, assess any nearby trees and branches. Not only are dead trees at risk for falling, but low hanging branches are like a highway for rodents. Don’t give squirrels and raccoon easy access to your roof. You don’t know what’s going on unless you see for yourself. Make it a routine to climb up on your roof a few times a year. Assess the shingles, gutter, and metal. Make a note of growing algae or mold. Loose and missing shingles need replacing. Check if any of the metal is rusting. It’s also crucial you seal any cracks or old caulking in your roof. These regular inspections prolong the need for a full roof replacement. Roofs need proper ventilation so that the heat and humidity have somewhere to go. If not, you’ll get mold and mildew growing in your attic. The moisture will also make the insulation faulty and the roof deck to buckle. During your regular inspections, check that roof’s ventilation system is working. Assess the insulation quality and see where it needs replacing. When your roof does need minor repairs, use caution if you do it yourself. It’s always safer to hire a professional roofing company to do the repairs for you. But, if you do it yourself, use safety equipment. Wear rubber-bottomed shoes to reduce your chances of slipping. Ensure you use a high-quality ladder and secure it well to the house. Ask a friend or family member to be present for your repairs in case something goes wrong. Want More Roof Maintenance Tips? You can avoid a full-fledged roof replacement by practicing roof maintenance over the years. Use the tips above to keep your roof in good condition. It’s important to remove debris like leaves and branches. Check the shingles, metal, and caulking during regular inspections. If you do a repair yourself, use all safety precautions. You don’t have to risk your safety by doing your own repairs. Detailed Roofing & Construction can help with all your roofing maintenance needs. Contact us for a quick and speedy quote!